“India is well known for festivals. 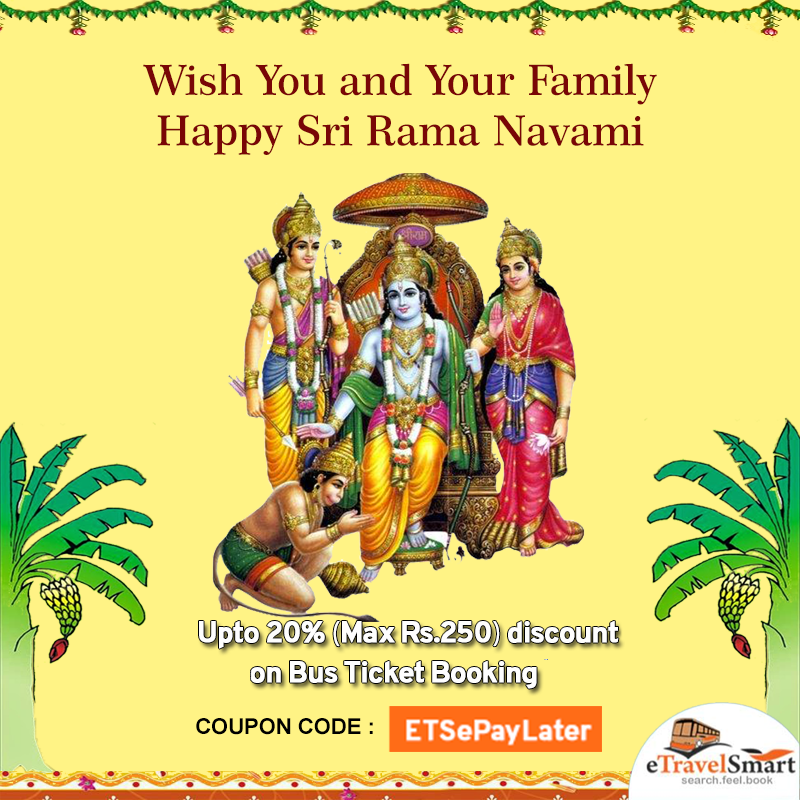 This weekend let’s celebrate on the name of Lord Rama.” Weekend plus Sri Rama Navami double the celebrations with your family & friends by travelling @eTravelSmart. Most of the holidays are covered on Sundays 🙁 but some of the holidays give double happiness 🙂 with one day extra to spend time with your family, in such cases rush and reach your family and friends using search, feel & book online bus ticket booking with discount upto 20% off @eTravelSmart. Now search more buses, book and feel the more happiness of spending time with your family by online bus ticket booking @eTravelSmart.